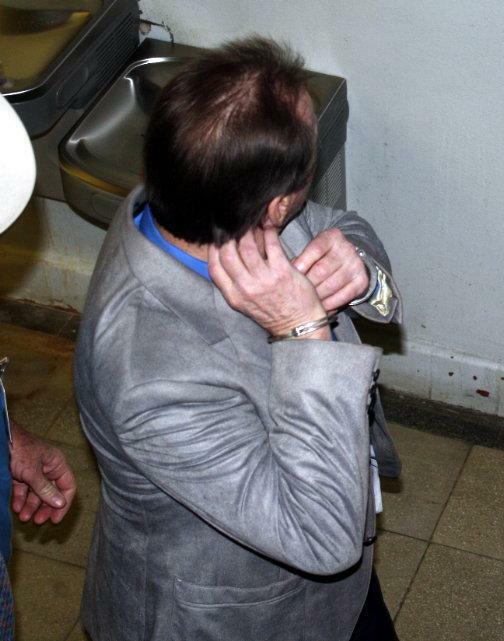 Del Ray Sanders sits with his hands cuffed only moments after being found guilty of murder. Verdict Returned: Del Ray Sanders Guilty of Murder, LIVINGSTON, January 14, 2010 - In a deliberation period that took around 40 minutes, shortly before 7 pm on January 14, 2010, Del Ray Sanders was found guilty by a jury of his peers in the 411th District Court of Judge Robert H. Trapp. The verdict was unanimous. In his closing arguments, Polk County Criminal District Attorney, William Lee Hon stated that Sanders beat his wife Linnie "...from head to toe...". Hon was quick to point out that law clearly states that intoxication is no legitimate excuse for murder. 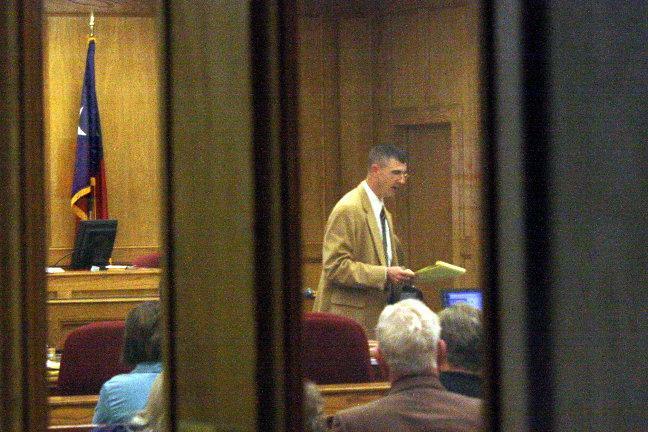 Hon seemed genuinely repulsed at Sanders and pointed out that Sanders was particularly cruel, citing an actual hand written note that Sanders sent to his mother in law saying that "She would never know what happened to her daughter...Never" (Hon displayed the actual note on an overhead projector for the jury). He pointed out actual statements from Sanders like "I chunked her around the walls". Hon apologized to the jury for having to see crime scene photos but stressed to them that, as hard as it is, in cases like this, it's what has to be done, and that all too often, our Deputies and Police Officers have to deal domestic situations of this nature. 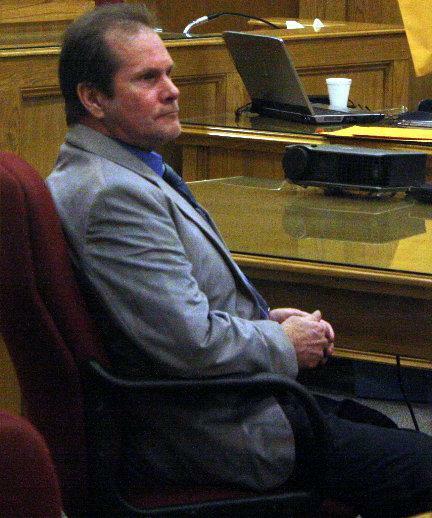 In one statement, Hon seemed perplexed when he told the jury that he didn't want to come across as sexist, but he couldn't understand why often women will choose to stay with men in spite of obvious danger, and refuse to leave even though friends try to get them to leave a dangerous relationship with an abusive man. Sanders' defense attorney tried to counter Hon's statements saying that there was reasonable doubt and that Sanders' wife, Linnie Jo fell several times in the house and that's what caused her to sustain fatal injuries. However, Hon pointed out that with the advice of medical experts, there "was no way" that the cumulative injuries of Linnie Jo Sanders could be from falling down (broken back, bruises all over the face and head and arms, clumps of hair pulled out and thrown in the back of a truck). "This is clear unadulterated murder" he said, "He's an angry, brutal, sexist killer". Though Sanders' defense attorney pointed out that there were no witnesses to the actual act of murder, the evidence was overwhelming. Sanders was escorted from the courthouse to a waiting transport unit and taken back to jail. The punishment phase of the trial is scheduled for January 15. 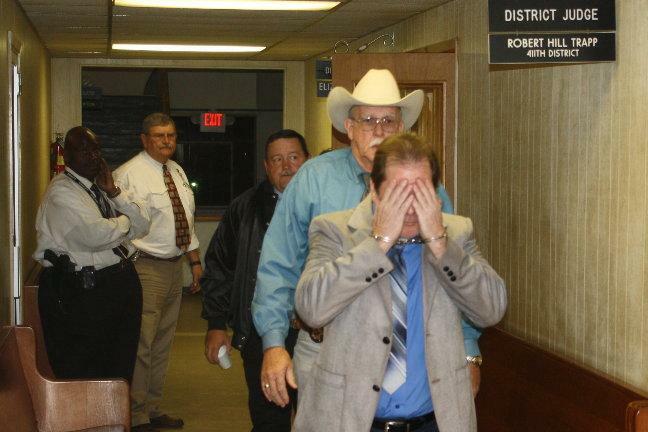 Making his case to the jury: In his closing remarks, Polk County Criminal District Attorney William Lee Hon stated the death of Linnie Jo Sanders was clear unadulterated murder. 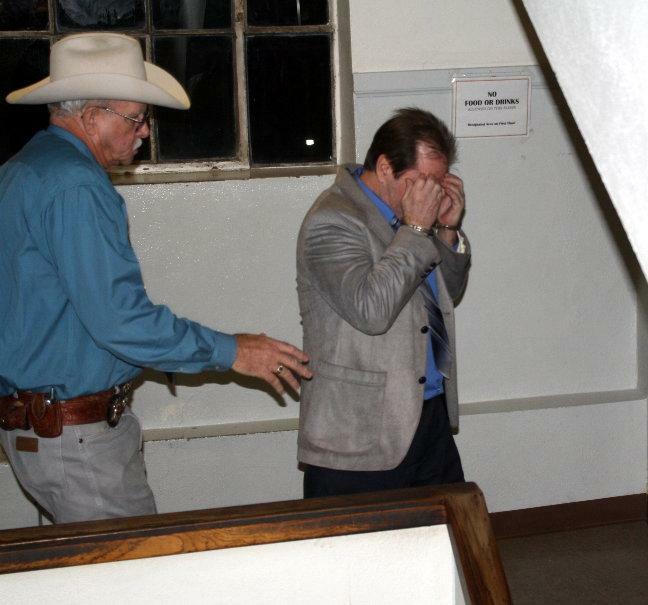 Guilty: Del Ray Sanders is escorted from the courtroom.